I’m doing another craft exchange and everyone seemed to be doing fall themed crafts this time so I came up with this guy. The frog puppet we made at the Culture Stock story time went over really well, especially on Pinterest. 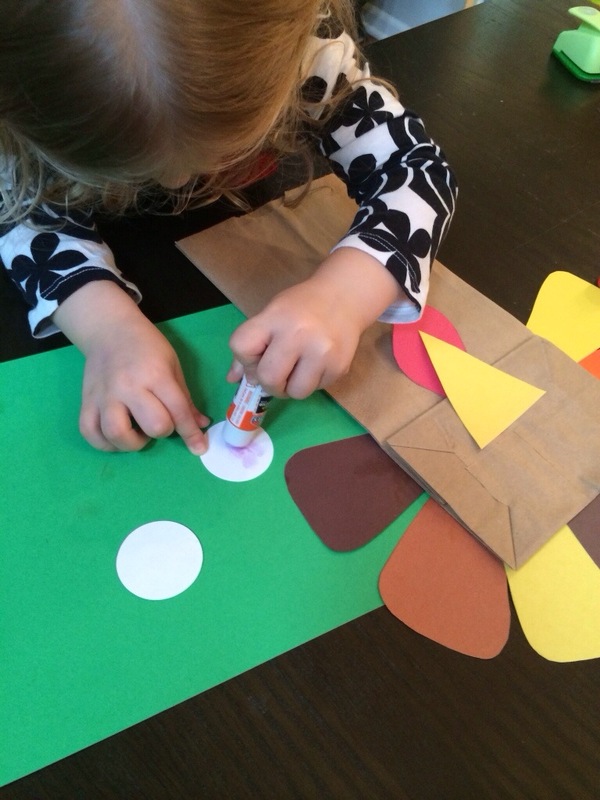 Evie really likes making puppets and I think the turkey worked out well with the bag. I used 7 feathers, it felt like a good amount. 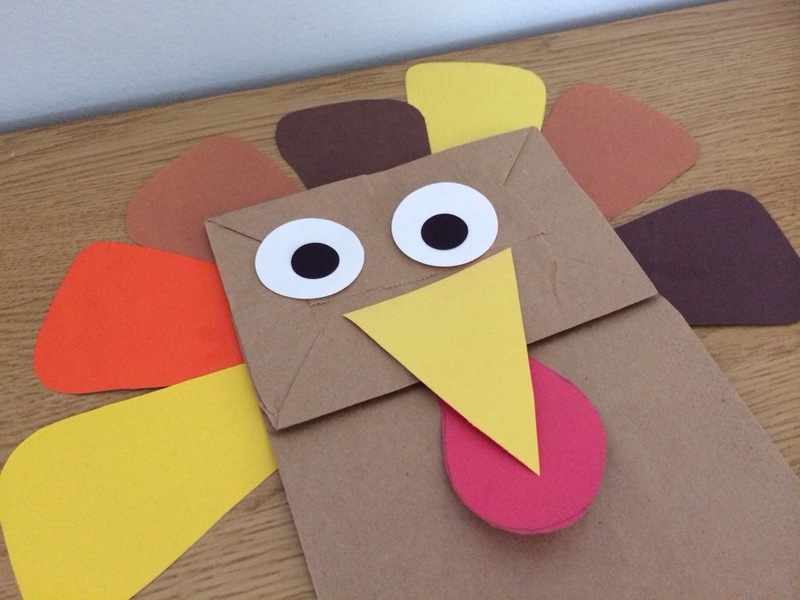 I cut them out of various browns, oranges, and yellow papers. First we glued the feathers onto the back of the bag. 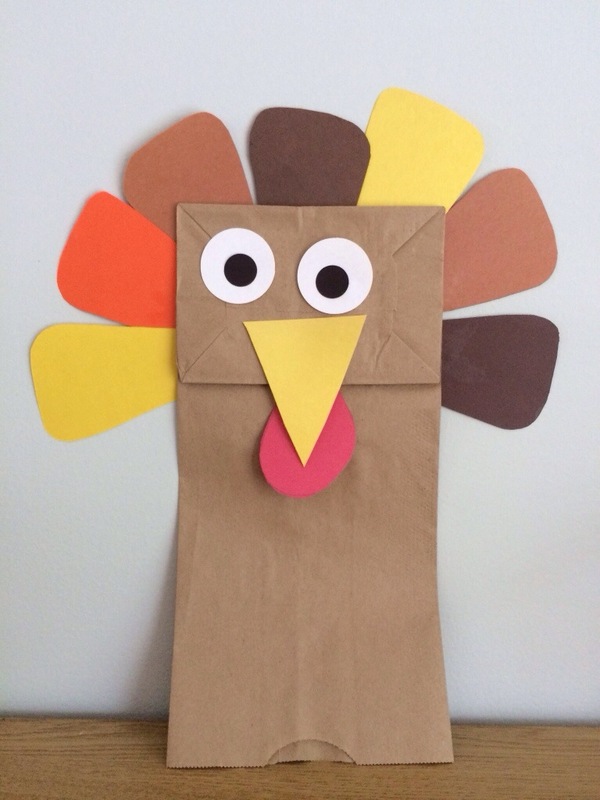 Next we added the gobbler, make sure to glue it under the bag’s flap. The beak goes on above the flap, overlapping the wattler. Finally, glue the pupils onto the whites of the eye and attach them.